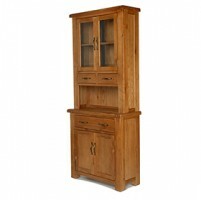 You can't beat a traditional dresser for creating a country cottage feel in your kitchen. 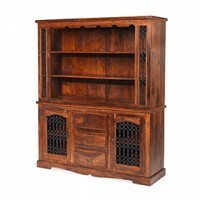 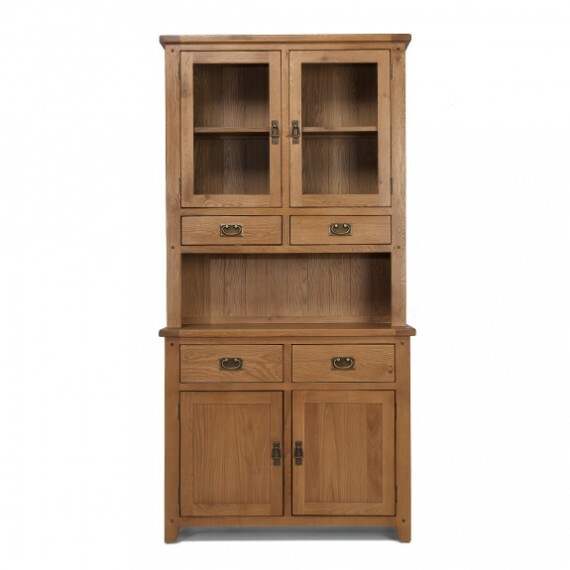 Ideal for looking after all your cutlery, crockery, tableware and cookery books, the beauty of this one is that it will fit in a smaller kitchen but still provides a generous amount of storage and display space. 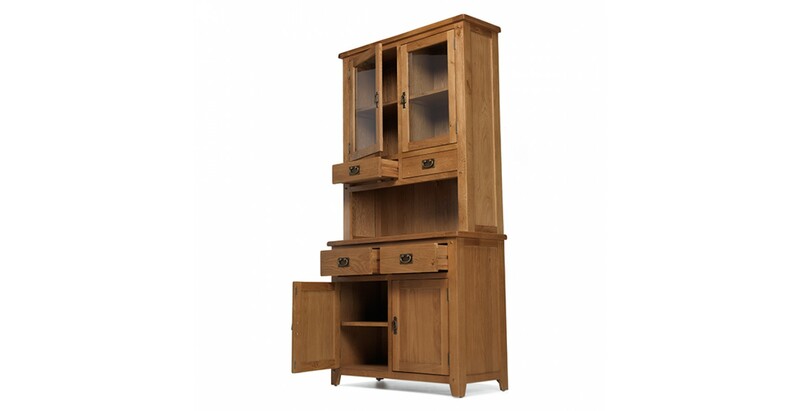 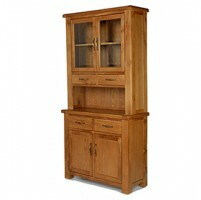 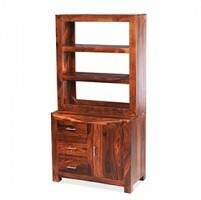 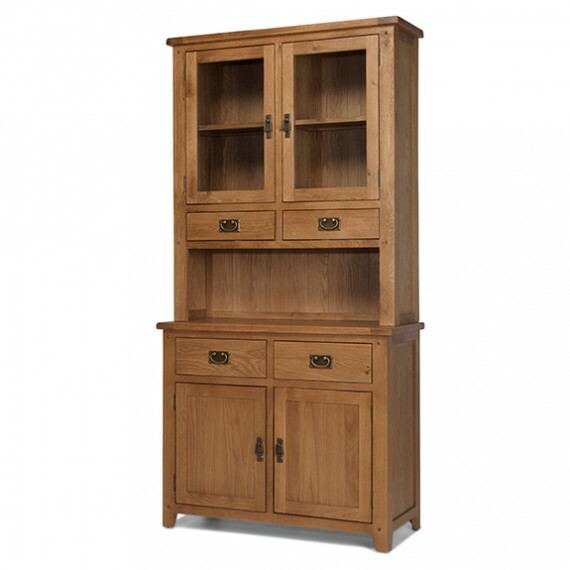 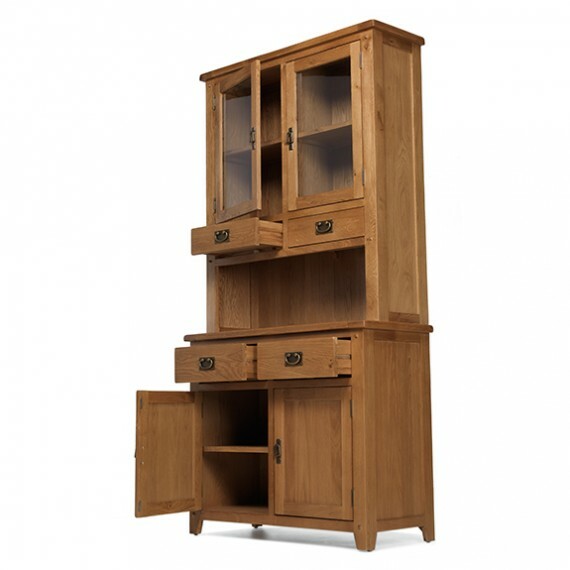 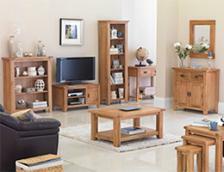 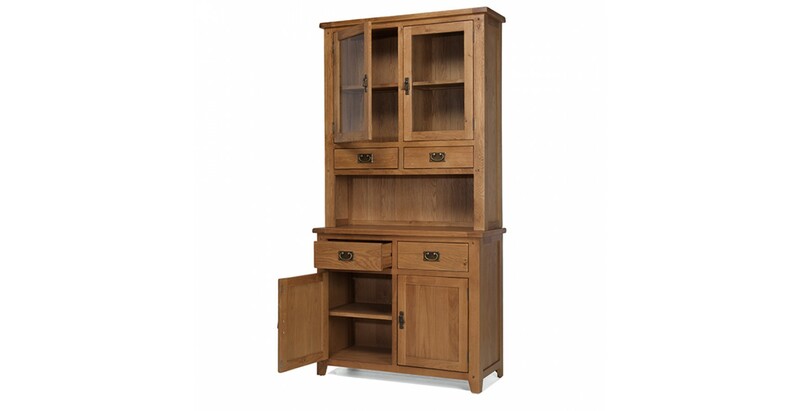 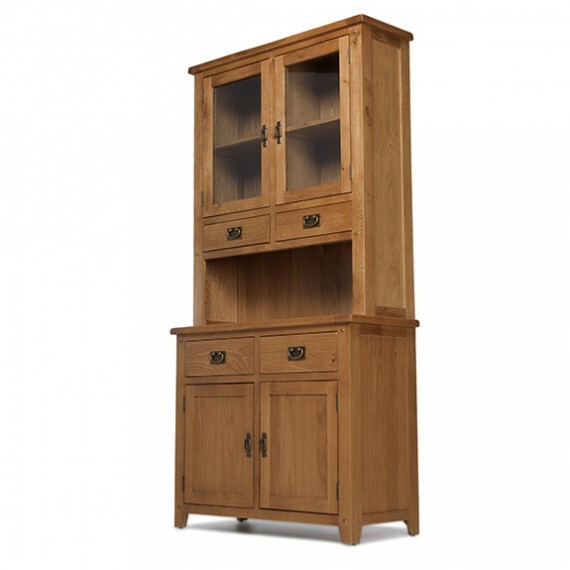 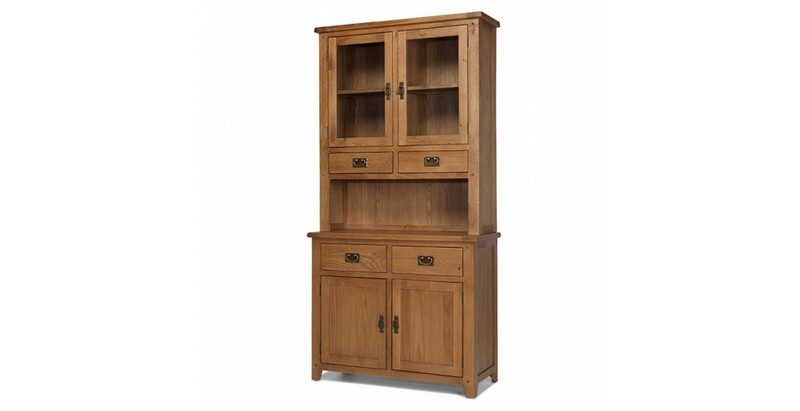 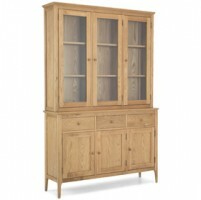 Superbly crafted from chunky pieces of oak that will only look better as they age, it has a glazed double cabinet with a shelf, four handy drawers and a roomy double cupboard to keep you super-organised, so important when your space is smaller. 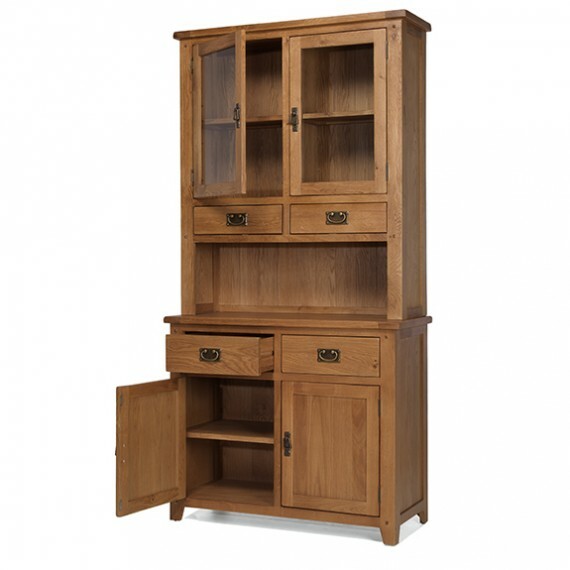 Rich with attractive features such as vintage-effect metal bar handles, peg detailing and rounded corners, it also has a natural lacquer finish to keep it looking smart.